Originally written for Pigtail Pals- Redefine Girly by Melissa Wardy. Cross-posted with permission. Recent beauty pageant contestant. She is two years old. It is an extremely thin veil that hides the atrocious “Toddlers & Tiaras” as a documentary-style show for your network. For the past four seasons the show has done a good job, not so much with teaching, but of giving viewers a voyeuristic peek into the children’s beauty pageant world. We don’t need to see anymore. As Season 5 reaches its midpoint, the show now continues to do little more than become complicit in the exploitation of the little girls at its center. At best, it is now a mockumentary of the visibly unbalanced mothers (and a few fathers) who force their children to spend long and uncomfortable hours participating in these expensive pageants. Many of these children are too young to say whether or not they want to participate. When these children act out and demonstrate they do not enjoy what is happening, or do not want it to happen any longer, they are still made to participate by their pageant moms. Let us be clear from the outset that after this season it is time to cancel the show. I’m sure inside your producer heads you think this is crazy, especially as the show has received some buzz-worthy, controversial attention recently and continues to pull in advertisers and an average of 1.3 million viewers each week….but as your mission statements goes, it is the job of the Discovery channel family to satisfy curiosity. TLC has done its job with this show, as almost everyone who has been exposed to the program finds it distasteful and widely condemns the child beauty pageant circuit. Our curiosity has been satisfied – as demonstrated with the several thousands of negative and disapproving comments left in the last couple of weeks alone. We’ve seen it. We don’t like it. We’re over it. The idea of two year old girls strutting around with cones protruding out of her bustier and five year olds who sit trembling and screaming in a chair at a salon as she is enticed into a painful beauty treatment will tend to leave a bad taste in our mouth. It leaves us less interested in the pageants themselves, but more interested in gawking at and judging the deranged mothers who subject their poor daugthers to this twisted world of judged fake beauty. That might make for good ratings, but it doesn’t make for a happy and healthy childhood of the young girls who hold the title of this show. Just like their overbearing mothers, you exploit these children. A shameful act on both parts. The duration of this show has coincided with a large effort by a small group of dedicated experts to raise awareness to the general public about the sexualization of girls. The parents we have reached now understand the emotional, psychological, and physical harm a young girl is exposed to when she is sexualized. As the 2007 American Psychological Association’s task force report showed us, early sexualization can lead to self-esteem issues, depression, eating disorders, and early promiscuity. Contestant on the children’s beauty pageant circuit. 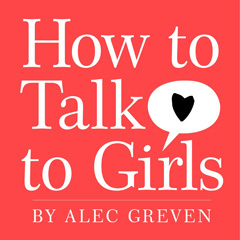 Alec Greven’s first book, a self-help book on how to talk to girls, is getting tons of attention. In fact, it has given him enough attention and fame that he is working on his next book, has been on Ellen and Hollywood plans on turning How Talk to Girls into a major film. This is just another pathetic and inappropriate example of the fast-forward on childhood and the dollars that are reaped from it. Not cute.